Drs. Gerald and Candace Rausch may be the dentists you're looking for if fear and anxiety have kept you from getting the oral care you need. Ask us about conscious sedation to help relieve the stress of some cosmetic dentistry procedures. We also provide dental implants, cosmetic dentistry and wisdom teeth. At Rausch Family Dentistry we have helped many patients correct years of oral neglect in just one or two comfortable and stress-free dental appointments. We take your concerns seriously and we're here to help by providing a range of options that will help you to relax completely and float through your dental appointments. Don't put off the important dental care you need because of a dental phobia. Call now for an appointment for Stone Mountain sedation dentistry at (770) 931-3388 or just fill out our simple online form. Please don't hesitate to contact us if you have any questions. We look forward to speaking with you! Dr. Candace Rausch and her friendly team are committed to helping your receive the personalized sedation dentistry care you need. At Rausch Family Dentistry our staff is trained in the latest techniques. 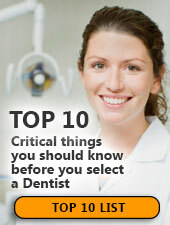 If you need to find a dentist contact us at (855) 564-7143 for a map, office hours and directions. We're looking forward to helping your learn about your options for affordable sedation dentistry.